The unique sera process of co-extrusion allows combining differently treated ingredients. 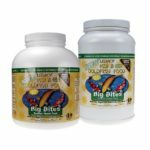 The ring contains ingredients that are particularly easy to digest and relieve metabolism. 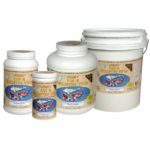 The core consists, among others, of essential vitamins, minerals and trace elements for healthy growth and a strong immune system. 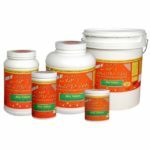 Additional vitamin C furthermore strengthens disease resistance and reduces sensitivity against diseases. 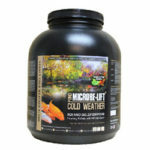 Below 17°C (63°F), the metabolism of the fish is not fully effective any more. 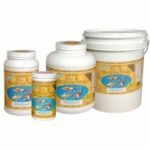 The food must therefore be particularly easy to digest. 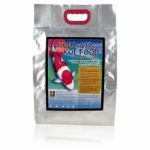 This is the only way Koi can prepare for winter or start into the year in spring. 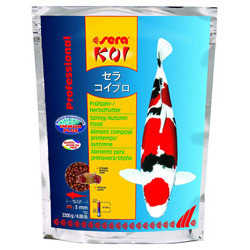 sera KOI Professional Spring/Autumn Food considers the special nutritional requirements of Koi and other pond fish at temperatures below 17°C (63°F). 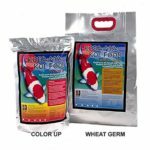 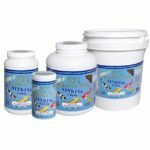 Microbe-Lift/ Mini Pellets Food For Young Fish Under 4” When your little fish deserve the very best! 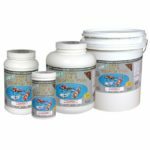 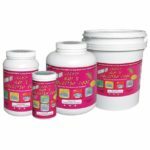 WILL NOT CLOUD WATER LEGACY™ Mini Pellets contains stabilized Vitamin C to help promote proper tissue development.